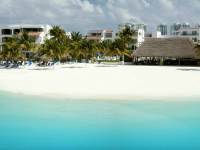 The Beachscape Kin Ha Villas and Suites provide guests free Wi-Fi in public areas, a tour desk and a 24-hour front desk. 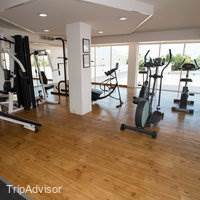 Guests can work out in the gym or use the laundry facilities. 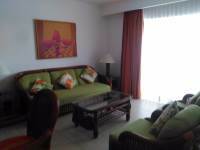 Suites include cable TV and a private balcony. 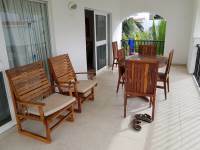 A full private bathroom, cable TV, balcony and full kitchen are also some of the features provided at these accommodations. 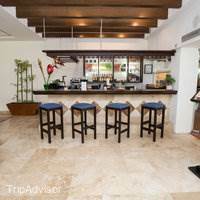 Kin Ha Villas and Suites features 2 on-site restaurants that include a buffet breakfast and lunch, and an à la carte menu is available for dinner. 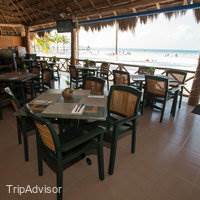 Guests can also dine at La Palapa, a beach bar and grill. 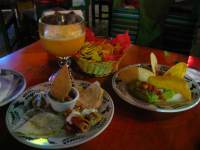 There is a wide range of restaurants and bars within a short walk. The hotel has direct access to the beach, which is popular for snorkeling and swimming. 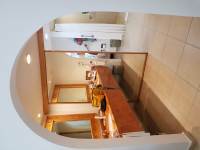 The property also provides convenience stores and spa services on site. 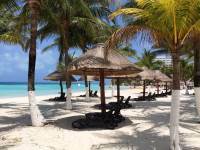 Beachscape Kin Ha Villas is 12 miles from the Cancun Airport. Stayed with my wife in september 2016.Location is fab ! Quiet and not overcrowded. 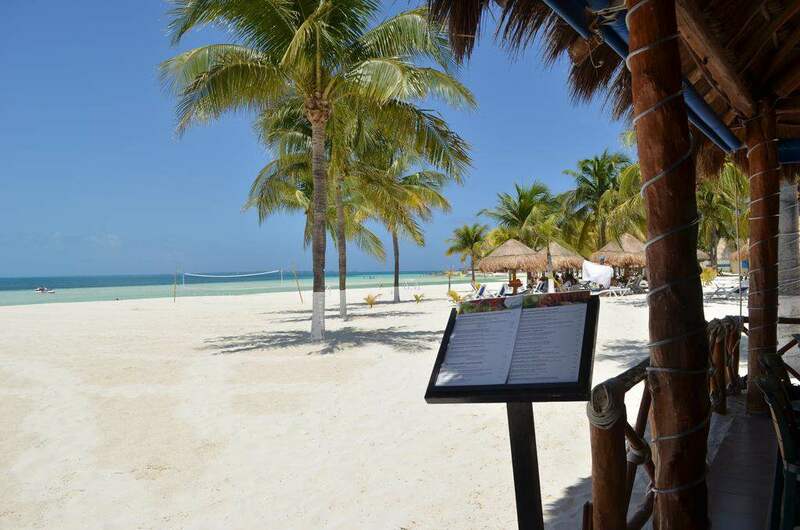 Budget for us.Benefits waiter service on the beach .Wi-Fi good everywhere,even on the beach. Room been cleaned good. Food ok,good choice, bottled ! wine. 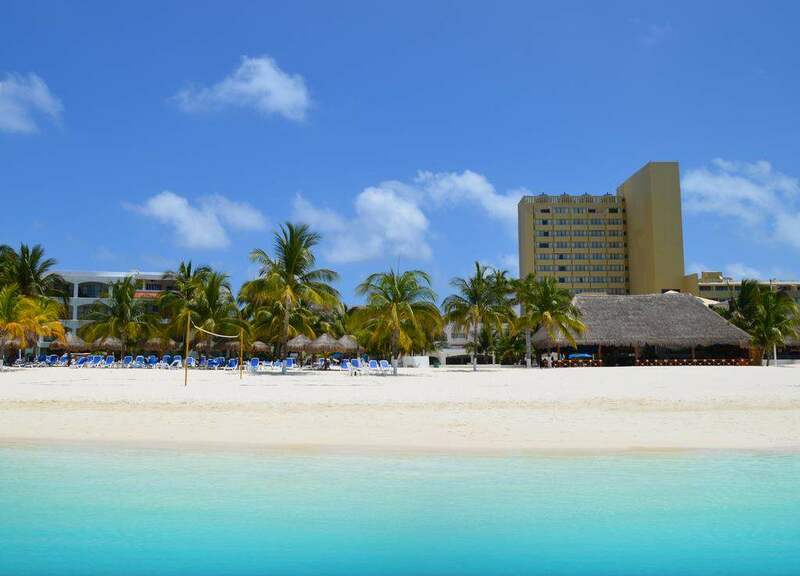 No matter is one only pool,as used only beach.Sun beds available all the time. Special Thanks to Mr Raymundo,who keep hotel service on high level . 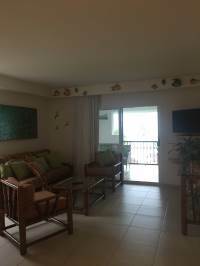 I stayed few days with my wife at beach scape kin ha .i love this place ,the beach was very beautiful servers were always kind and helpful with everything .thank you all of them and the supervisor at the palapa .the room had a lot space and with the great price thank you beach scape . 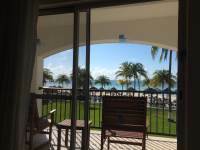 We stayed at Beachscape Kin Ha Villa & Suites for 5 days. I must say, what a horrible experience for us. Front Desk: Check in was handled very badly, the front desk guy tried to check in the wrong person! Lucky I spotted the name, then we had to pay extra on top of what our reservation stated. Beware if you ever require/have to pay extra, please make sure that you get a receipt as they would deny or make you look like you're lying just because we were too trusty or naive and didn't ask for a receipt. As read on one review, beware of extra charges added on to your bill on check out. I work for a hotel in England and in my experience you should always be polite and be able to work under pressure or deal with difficult guests. One particular FD staff made our stay unpleasant and in badly need of retraining. 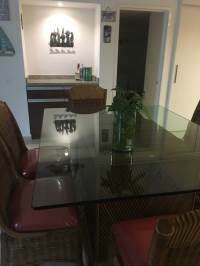 Room: spacious but in need of updating. On our first night, the shower cubicle drain was blocked, but to be fair we didn't have to wait long for a maintenance guy to come and fix it. But even after that there was a bad drainage smell in the shower cubicle. Our air conditioned stopped working after our second night, reported it to the night lady at the front desk, who told us she would send someone to fix it. We went out for dinner, but when we got back to our room 3hrs or so later the a/c still wasn't working!!! So we spent another night sweating, for security reason we couldn't sleep with the patio glass open as the screen door didn't have a lock.Food & Beverages staff: One thing I cannot fault were the staff in both breakfast and dinner restaurant. They're a credit to the Villa! Hard working and polite people, especially the waiters who served us Carlos, Daniel and Christopher. 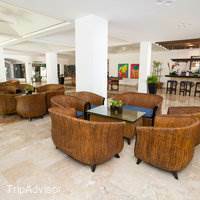 The young concierge named Jonathan was polite and friendly.Grounds: The Villa ground is clean, pool was cleaned every morning. The beach side is lovely too, very clean. There's an on site shop, essentials can be purchased here and prices were reasonable.Location: Local buses were great, they come often and they would wait for you too! It cost 12mxn peso p/p. You can walk to main built up area if you fancy a stroll, spoilt for choices when eating out. 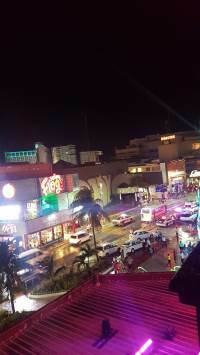 Las isla shopping mall is only a bus ride. Here you'll find lots of shops and restaurants. Hotel is pretty open-air hotel convenient to bus stops and hotel zone shopping and on a quiet part of the beach. Breakfast buffet was excellent. Lunch and dinner in the restaurant quite good with very attentive and pleasant service, especially Daniel Reyes who invited us to ask for him the next day as well. Our room was clean, spacious. 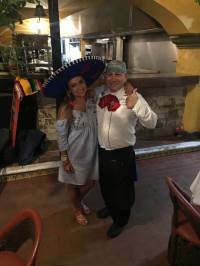 Our dinner server (full duration of trip) Jose Daniel Reyes was fantastic. He remembered what our preferences were for drinks and always went out of way to make sure everything was perfect. I highly recommend you ask for him if you stay at the Kin Ha you will not be disappointed!! Jose Daniel Reyes, was our server for most of our dinners. He was very professional, caring and took the time to know what we liked and didn't like. He made our dinner experience a pleasure. 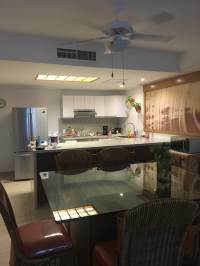 If you are in Cancun staying at the beach scape kin ha, make sure to checkout the La Palapas and ask for Jose Daniel Reyes. 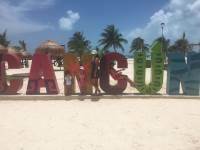 Two weeks ago I visited Cancun. And it was a great place. 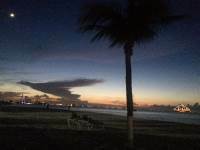 I love the hotel beach scape, quiet and beautiful beach. 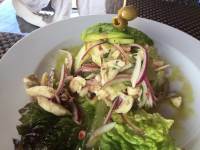 The specials from the chef were great and the service was outstanding! Thanks to the supervisors of the restaurants, always nice with us. The rooms were really nice you can cook inside your room !! Love it ..for sure I'm coming back. 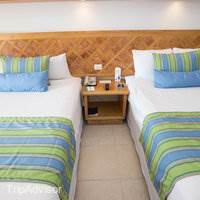 An exceptionally clean Hotel and very spacious rooms with excellent views and amenities. 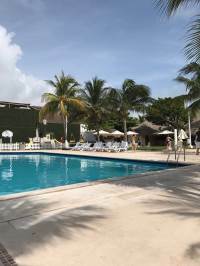 We traveled by a hired bus from Belize City to Cancun in Mexico for a 4 day visit and was very surprised by the very high quality of the hotel we stayed in. The pool was very good a the stay was wonderful with just one day of rain. 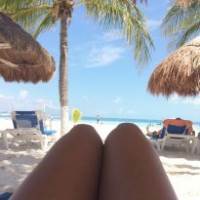 I recently visit Cancun Mexico for my 30th birthday with (4) friends! 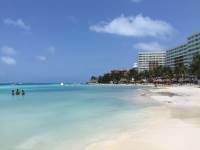 We chose to stay at Beachscape Villas because it was close in the hotelzone and we were able to walk right out on the beach. Hotel itself was pretty modern. 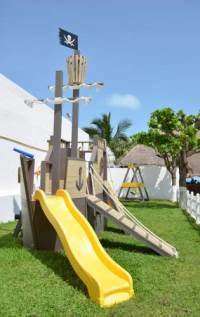 They had a pool, a restaurant, gift shop, breakfast area, gym, playground for kids and then the beach chairs located right in front of the water. One major problem that this hotel lacks is customer service. 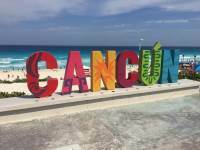 I'm so disappointed that I have to write this, as my first experience in Cancun and also as a travel agent. Prior to me arriving, the hotel cancelled 1 out of the 2 rooms we had booked with no notifications. They didn't try to call or email us to let us know they were having credit card issues. They said they just kept trying to charge the card. The credit card company said there were no charge attempts and that the room was just cancelled! On top of that, their rooms were "sold out" yet they still wanted us to send a copy of our ID and passport for verification. If they already cancelled the room, why would they ask for identification still.everyone flew separate and arrived on different flights. Two friends of mine checked in first, then I arrived shortly after. I checked in at reception with Emilio and everything was fine. 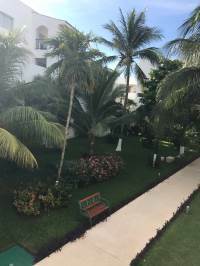 Since my two other friends had their room cancelled they booked at another hotel close by at Rèal Inn Cancun which was about a 7 minute walk from Beachscape. As we got ready for our first night out, my friends came to meet us at the hotel. Security guard allowed them to enter but the reception said they had to pay $50 per person to come visit us! Sounds like a bunch of bs! This was the start to our horrible stay! They then wanted to charge $45 per day for a third person, though they claim their hotels were sold out and didn't have any rooms available. We had a one bedroom villa with a sofa bed enough to fit 5 people! Then the same person who checked me in stated if you just give me $100 cash, she can stay here. We didn't give him the cash. Felt like it was a scam. We went out that night, came back and they locked us out of our room. Second night here, they locked us out again to try and haggle for more money! They locked us out of our room for a total of (4) times to try to keep getting more money out of us and cutting personal deals!As we checked out, they tried charging for my friends who came to the hotel to get us, and for the third person!! Just ridiculous! 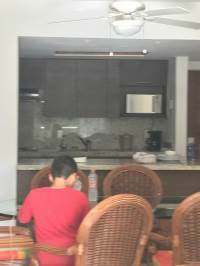 I'm disappointed in my stay here and I don't recommend anyone booking here!I walked into (2) other hotels while I stayed here in Cancun and none of them treated me the way this hotel did. 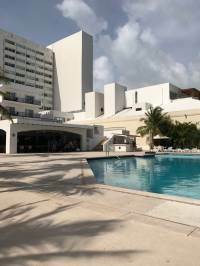 Rèal Inn Cancun was super welcoming, Presidente next door allowed me to get cash out of the atm no problem. 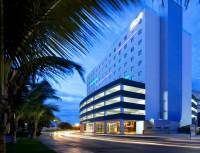 There are lots of other beautiful hotels out here in Cancun. I suggest everyone book somewhere else. To top it off, as we're waiting for our shuttle the manager Magin Hernandez tried once again to charge us $45 for visitors. No where on the website, any other travelers website did it state that, nor did She have anything in writing! I will definitely not be returning! Great hotel, nice beach, would stay again! Room was basic (large, two double beds, comfortable, US$100 a night, no fridge). Pool was nice. August wasn't a busy period and we had only a few people to share the beach with. Close to the airport. Amazing massages on site from Daniela! Between two large hotels which would be much more expensive to stay for the same experience. Would recommend to friends and will stay again. 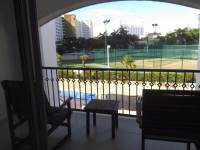 Stayed for 5 nights in room 4312 which was a suite on the 3rd floor overlooking the hotel next doors tennis courts. 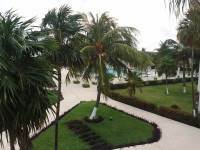 most rooms and suites are owned by people who when not occupying lease them back to the hotel for rental. spoke to a resident who told us this. Free WiFi.Our room had a balcony, and a kitchenette equiped with fridge, sink, toaster, coffee machine, cutlery, plates, glasses etc. 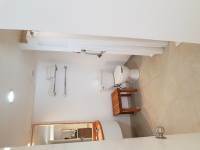 Two double beds, large spacious shower ensuite. The hotel has 5 blocks of accomodation. try and get one away from the street and also the carpark/reception. can be noise as there are bus tour late arrivals and learly leavers. Some have a lift to upper levels and some don't. Ours did.Others that travelled with us had basic rooms, which is what most are and they didn't even have a fridge, just beds and bathroom.Pool area spacious with plenty of shade. Beach pristene and plenty of sun beds. beach clean and no rocks or seaweed etc. great fo kids as shallow nd no waves.Restaurant overlooking the beach at the back of the resort. 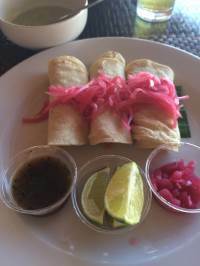 See my review for the Kin Ha Palapa restaurant. 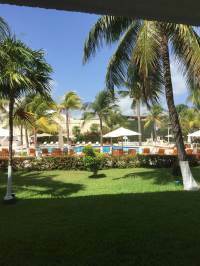 We stayed here on our way out of Mexico. 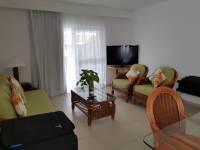 Property is a bit dated, but spacious and clean, with lots of white tiles. Big balconies and big roomy lounge. Food was very average, but the position on the beach was fantastic. So nice to be able to lie on a lounger and order cocktails. We had to fiddle with the air conditioner to reduce the extreme chill, but all in all really enjoyed our stay. Stay away from this hotel!! We did not enjoy our stay in this hotel at all. It all started well at first, at check-in we were given an upgrade from a double room to a suite. The living area smelled of cold smoke. The A/C was extremely cold even when we set it to 24 degrees. We only stayed for 2 nights but had spiders, bugs and multiple mosquitos in our suite (this was not the case in our other hotel in playa del Carmen). The pool area is made of concrete and looks extremely unappealing. The pool water is set to a very high temperature, which got uncomfortable in the Cancún heat after just a few minutes.We had only booked breakfast. 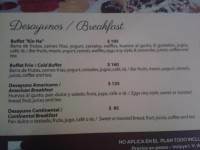 When we arrived to the restaurant we were told that we could only have toast, egg, fruit, juice and coffee. When I asked for cappuccino I was told that it was not included in our package. I have never had a more pathetic breakfast in my life. As soon as I took my 2 slices of toast and a little bit of scrambled egg, the hotel employee came to our table, wrote down our room and bracelet numbers and then watched us carefully throughout the breakfast to make sure we didn't take anything else. It was absolutely ridiculous.On our final night we had dinner at the hotel's own restaurant. 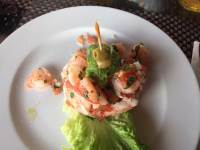 I had pasta with creamy sauce and shrimp and got terrible food poisoning from it for days.Finally, on the morning of our departure we went to the reception and asked them to call a taxi for us to go the airport. The night before we had asked if they could pre-order a taxi for the morning and they said no, and that it would only take 5 minutes for the taxi to arrive after they call it. The guy at the reception was on the phone for about 10 seconds, then he hung up and said there were no more taxis and we should go on the street and try to pick one up. He just didn't care at all that we had 2 big suitcases, hand luggage and a breakfast box to carry. There was no goodbye or well wishes, just a "you can go" from the reception guy. It was a terrible experience. Do not book this hotel!!! Last night of our Anniversary trip! We had a most enjoyable stay at the Beachscape Kin Ha. 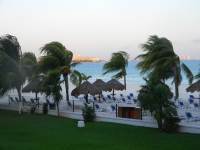 The room was very clean, the beach was perfect and the staff everywhere was very friendly and helpful. We would especially like to thank Emilio and his colleagues at the front desk (apologizes from us for not recalling your names) for accommodating our request for a specific room. 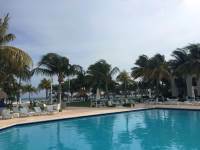 It was very much appreciated!This is a great condo-style hotel located on a fantastic part of the beach, facing calm, beautiful waters. 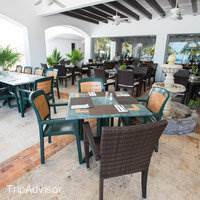 We highly recommend the Kin Ha for those wanting a relaxing and quiet stay while visiting Cancun. We were delayed on the flight from Montreal to Cancun, so we called the hotel and talked toa "mr Oscar", who is the front desk manager. We advised him, that we are late, but we will show up, please keep our room.When we finally arrived, front desk told us, that there is no room for us. We asked for Oscar and he was indeed there. However, he lied us straight up in our face saying that nobody talked to him about our booking so they gave our room to somebody else. 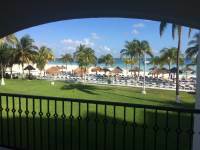 So we ended up in Cancun without a hotel after an almost 40 hours long journey. A lot of hassle & unexpected fees. Rooms ok. An ok hotel. Our room did not have a view despite having a balcony. I would not stay here again. I was disappointed & frustrated. We had to get maintenance to fix the shower drain because it wasn't draining. They did not replenish the toiletries daily or the coffee. The only things I liked was thd AC & beach chairs. 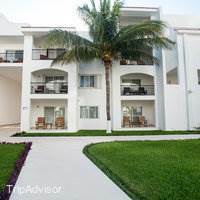 We just concluded our stay at Beachscape Kinha villas at Cancun, Hotel Zone 8.5 KM mark. It was the best vacation we ever had in our life time. It was relaxing, rejuvenating, entertaining and enlightening. 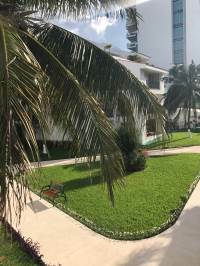 The hotel staff is excellent - Pastor (our room attendant), Manuel (travel agent), guys at front desk, pool, security and luggage attendants all worked very hard to keep the guests safe and well taken care of. 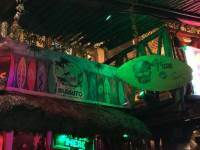 We spent the first night of our Mexico trip here. The surroundings are beautiful. The hotel itself could do with some updating. Our toilet did not flush and we had to open the cistern to flush ourself by pulling the chain inside. Hopefully this problem is solved now after we reported it. Breakfast selection was odd, upon our arrival we were given a grey bracelet for an American breakfast. This was prearranged by our travel agent. The breakfast was fine, except that there were many things we were not allowed to help ourselves to, like cereal, yoghurt, pastries and waffles. Why can't you just charge a few pesos more right at the beginning and have it all included? The whole system was far too confusing. The hotel does not have a lift and the staff did not offer to help with luggage. Wonderful, low key and laid back. 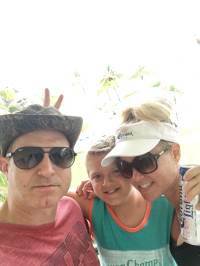 We had stayed with additional family members at an all inclusive resort for four days and finished our remaining three days at Beachscape. 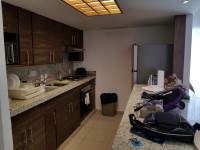 We stayed in a suite that had that had a full kitchen and living room. This worked out well since we also had two children with us. The grocery store was about a ten minute walk, this allowed us to stock up on food and drinks. We will definitely be coming back to this hotel. Amazing!!!!!!! Don't let the reviews scare you. The hotel is a suites and appartement , so rooms are big and spacious The staff are not nice at all , especially the guy on the front desk and I guess he was new or on training he charged me four transactions by mistake The barman on the beach is never there and u need to keep looking for him and no barman on the poolNeed a lot of improvement. Worst hotel experience of my life. Booked and paid for our room months in advance. Arrive to check in and we were told rudely by staff that they had "no rooms left and they were sending us to a different hotel (cheaper and nastier) a few km's away." Not one apology. How about contacting us when you gave away our room so we could make arrangements. 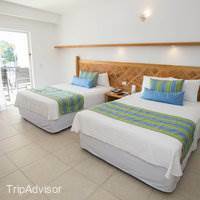 We also find it hard to believe every room would be booked out in low season. Disgrace!! 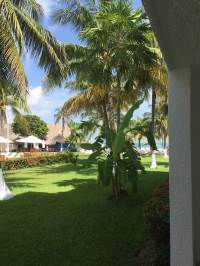 Decided to splurge on a couple of days at a Cancun resort and this was a good place at a great and low volume (quiet) time of year. Had some great afternoons in the sun ont he beach with some cool off time in the bay and the pool. 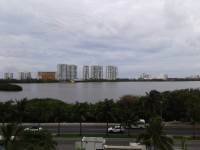 Great evening views of the north part of Cancun. Food was a seperate price and not cheap. The breakfast was ok, but the tiki bar food was great. Shocking customer service and thieving staff! Where do I start... as a summary if you want great location and access to the beach this hotel is for you, however be prepared for slow service or none at times, unapologetic and dismissive management, limited all inclusive drinks and food (Breakfast you can get left overs from the dinner before) and if you don't lock your money in their safe (although cannot guarantee if this is safe) be prepared to have your locked suitcase broken into.There are two areas to eat food, either the restaurant buffet or the restaurant by the beach which opens from 11:30am until 11pm, however on our first day at 11:37am we were told we needed to wait another 10 minutes as they were not ready.Hotel also hosted a private party. Lack of staff resulted in us waiting 3 hours where we had to repeat ourselves twice on what we wanted, and the response the Director gave us was "they lost time".Despite the restaurant closing at 11pm they fail to inform us last orders are 10:30pm, so when ordering food one evening at around 9:30pm ish (usually food takes an hour to come out) and my order was not complete however they could not complete my order as the kitchen was now closed!! On other occasions food was either uncooked or cold which is shocking seeing as it takes so long to arrive.If your looking to use the gym, don't bother, no weights, and equipment is very very dated!!! !Money was stolen from my friends locked suitcase, and when we asked hotel front desk if we can call police they smiled and said no as this would incur a charge to them!!! Please tell me what happens in case of an extreme emergency!I did not feel welcome at this hotel, and i have stayed in many hotels globally. For an all inclusive experience I would not recommend this which is a big shame based on its location. Disappointed is an understatement. It's not an "all inclusive" hotel. 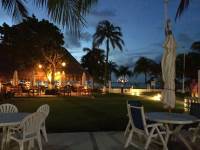 The attendance is terrible in the pool area and during the dinner in the beach restaurant. 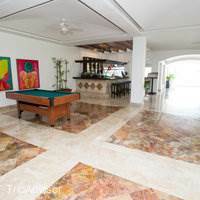 As there are all inclusive clients and others that are not, they prefer to attend the client that are not all inclusive (people how will pay for each thing that are ordered), so the all inclusive clients have to wait a lot.In the rooms, the bottle of water are limited to 2 per day, and if you want more, you have to pay for it.The other restaurant have a good breakfast, but in the lunch and dinner, the options are limited.On the other hand, the rooms are clean and the attendance at the beach is good.I don't think that the hotel is a good choice, because there are somethings that will borrow you. Absolutely disgraceful hotel, wouldn't go back even if they paid me too! Never been so happy to come home. I don't even know where to start....The staff here are so rude and unhelpful, they do not care at all about their guests. 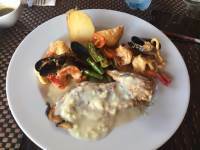 All inclusive is basic and on more than one occasion would have to reorder food or drinks as staff forget your order, one particular time after asking several times where food was we eventually got told they had forgot order but kitchen was now closed and they wouldn't make anything else! One day there was a party in the hotel and we were told we needed to stay away from the bar and we couldn't order any food! Whilst staying in this hotel my locked case was broken into and my money was stolen, obviously by staff (be wary of two cleaners working together, especially if you have a shared balcony) as no forced entry into room, every day we had prank calls to our room probably checking if we were in, no cameras in hotel and reception would not let us call the police. Mexico is a lovely place but this hotel has ruined the whole experience for me!! STAY AWAY!! I spent three nights here last week. The hotel has a nice pool and great beach. 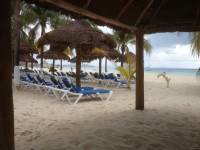 There are free sun loungers on the beach for guest use. The hotel room was ok, with a living room and kitchen, and quite spacious. However, it needs a renovation. Housekeeping staff did not come once during our staff, despite us leaving a sign on the door as well as asking in person. They also were weird about providing extra towels. The towels were thin, stained and old. The food at the restaurant was below average, as were the cocktails. Staff at the restaurant during the day were not attentive and drinks were made in dirty glasses. There was better dinner service, but the food was not great. 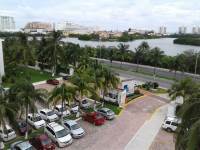 The hotel is within walking distance to hotel zone restaurant area. Buses also pick up from outside the hotel. Free wifi and gym is available for guests. 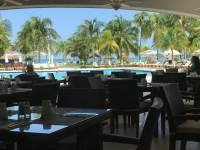 The great situation of this hotel is completely ruined by the incompetent and unfriendly staff at the reception and in the restaurant. They have absolutely no consideration for their clients needs and look down on you when you ask for something which is completely normal. For exemple having a childs bed made up in a room booked for 3! Our daughter slept on a sofa with beach towels last night. When I complained the head receptioniste answered me "You should have asked for an extra bed!". On arrival we were offered a free upgrade and spent our first night in what is probably the worst room in the hotel 5105!In the restaurant my daughter asked where the rest rooms were and the head waiter answered in a very disagreable manner "Can you not see the sign!" .The cleanliness is not up to standard either. So despite a great location and a beautiful beach I would advise you to go elsewhere. I would also advise the owner of this hotel to train his staff in customer satisfaction and to take a closer look at the attitude of your managers. Location is great. Buses out the front which take you around the hotel zone. 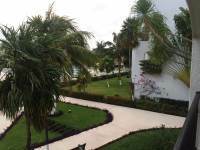 Walking distance to night entertainment area. 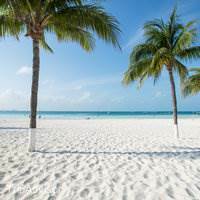 Beach is beautiful with powdery white sand. Clean clear water. 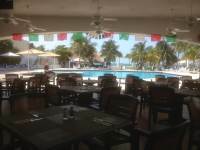 Lots of sunbeds.Pool is very clean, with a lot of sunbeds and tables and chairs. Could have don't with a few umbrellas around the sun loungers We had a king suite. It's was fabulous. 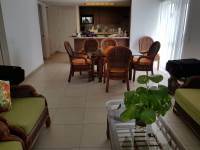 A full kitchen, dining area, lounge, TV. 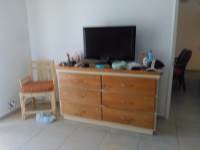 Bedroom had a large king bed, TV, bed was comfortable, safe in the cupboard, iron and ironing board. . Large basin area and large bathroom. All very spacious and very clean. Outside sliding doors to a patio with 2 outdoor settings.Security guards everywhere, and they were very pleasant. Restaurant on the beach had OK food, they also bring drinks to the beach for you. Great to have a drink and watch the sunset. Staff at the restaurant very pleasant and always smiling. Reception was the only letdown. I found the staff not very helpful at all. We had a problem with the tour we booked. The man had left and we asked for the company no. We were told to look it up on the internet. No one smiled or put themselves out to help guests. We received no map, no information regarding how to get to places and what was available. There is a laundry where you can buy a token and wash the clothes yourself. Wifi was good. Could use it on the beach. 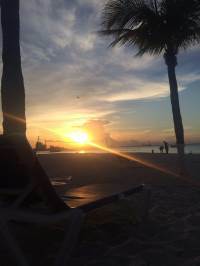 I will start off with the positive - the beach is beautiful and you can see the sunset because it is kind of on the peninsula... That's where things go bad. 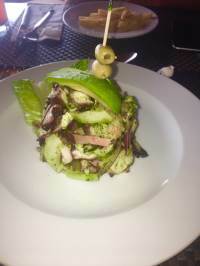 The restaurant has the worst food I've ever experienced in my life and if you try to even send something back - they will treat you like garbage and charge you for it. The front desk is lacking customer service and the only person who was helpful and friendly the entire time was the lady working the towel exchange. This place is a budget hotel and it shows. Nothing luxurious about it. For under 200/night I guess it worked. But honestly I wish I had gone somewhere else even spending more. It was a terrible experience. We are staying here right now and we love it! 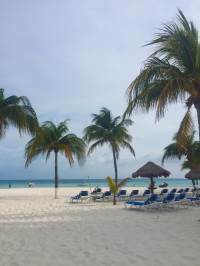 The beach is beautiful, the facilities are clean and the staff are friendly and willing to put up with my poor Spanish. We are staying in the 4000 building and it is quiet, far enough away from the street at night. Couldn't ask for a better place to spend our honeymoon. We will be back! 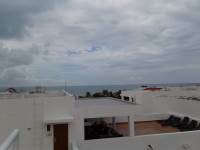 Hotel is in very good area, very close to the private beach, just a few steps away.Beach is just wonderful. 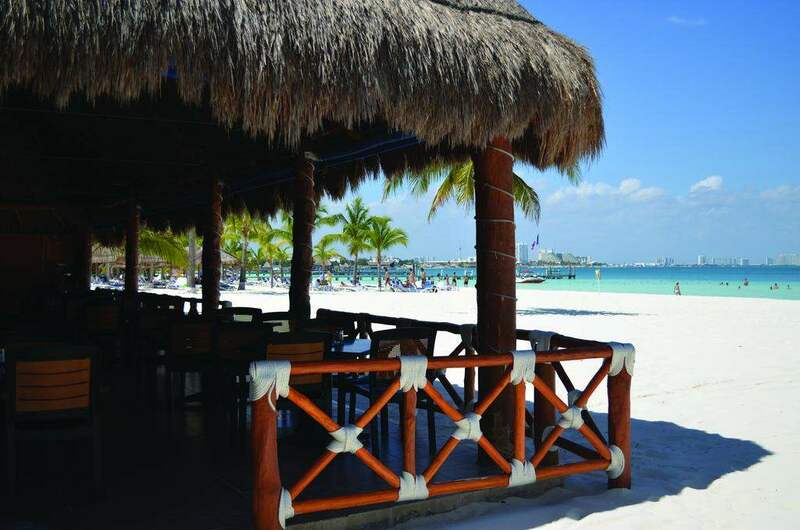 Not crowded, with sun umbrellas and natural shades from the palm trees.Best beach in Cancun.Bar and restaurant available at the beach. 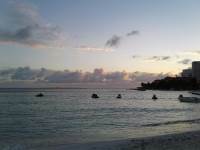 We have stayed at Beachscape Kin-Ha 13 times and have recommended it to friends who have also stayed here multiple times. But .... consistently the front desk disappoints us. 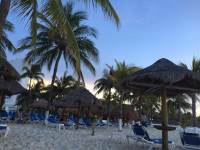 The resort is quaint, the beach beautiful, and service staff is attentive, which is why we come back. The front desk does not understand customer service! We came early in the day this trip and knew we would need to wait for our room. We were told 2:00. We came back and we're told 3:00. We were offered another room but we're told it was under repair and would take about 30 minutes. We came back and were told 5 more minutes and then 5 more and then 5 more. Finally we sat and waited at the desk and got our room close to 5:00. When we got to the room our safe was locked. We called 3 different times to ask to have it unlocked and finally the next day we waited at the desk to get someone to help us. 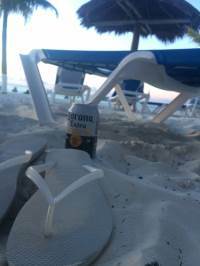 Then we charged beverages on the beach and we were very embarrassed when they told we were not approved, when in fact, we had an approved card in place. We were embarrassed and inconvenienced due to the front desk's lack of follow through. A haven for your soul! 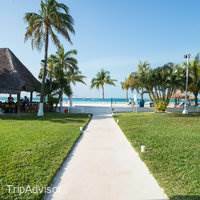 My wife and I were here in December 2016 for 9 nights.We have been to Mega resorts and fancy all-inclusives.We found Kin-Ha gave us the opportunity to keep it simple and focus on why we really enjoy the Cancun area.That is to enjoy the beauty of nature around us, to enjoy the serene vibe and to look out at the sea in awe of the beauty. All of this is here and more.We booked the one bedroom suite with breakfast included. This gave us a good meal to start the day and also gave us the freedom of choice for dining options for the remainder of the day. 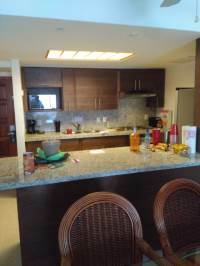 The suite has a fully loaded kitchen, so if you are inclined to cook or simply makes frozen drinks or guacamole, all the tools are there.Probably to reiterate what most have said is that if you are looking for all the hoopla of the big resorts, this is not your place. The beach and sea are beyond words. Simply gorgeous and you could literally walk out some 300 feet and be only waist high. 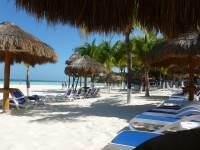 The beach is soft white sand and quite expansive so there is plenty of space. 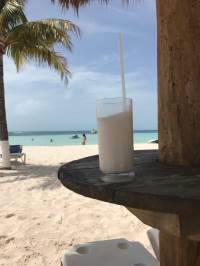 We ventured down the beach to other resorts and they were quite rocky and in the shade for a good part of the day.We found the wi-fi in general to be pretty good. Housekeeping was always punctual, pleasant and thorough.We had suite 2110, which worked out wonderfully since my wife has osteoporosis so climbing stairs can be painful. This was a ground floor unit and has patio doors off the living room and bedroom. 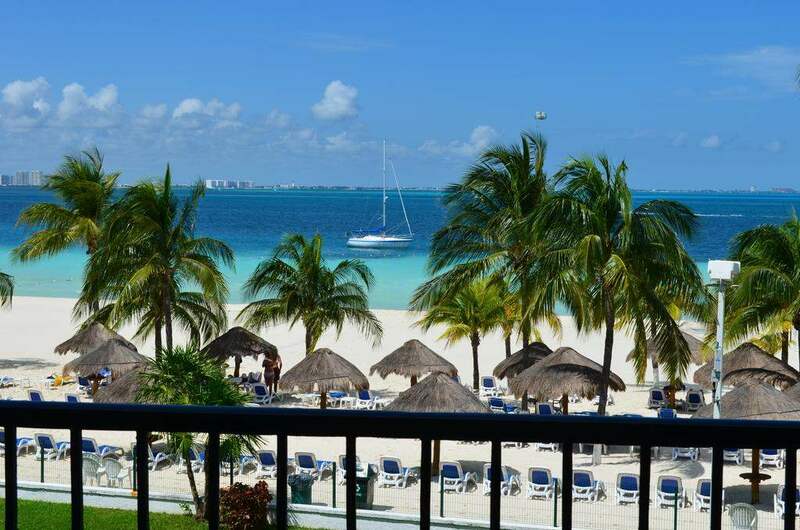 Many times we would sit on the patio have a snack and enjoy the ocean view right from our seat.We are coming back in June for 10 nights to celebrate our 46th Anniversary and hope we are lucky enough to get that same suite. Not here go someplace else!!! We booked here for 2 nights on expedia.We arrived and seems they are booked and gave our room away...so we got "free upgrade" . Actually a downgrade. The room big but smells terrible. 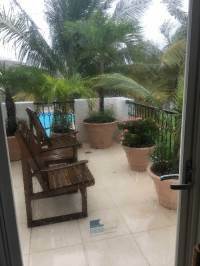 I open sliding door to air room out but only sewage smell available outside ..disguisting.Bathroom not very clean and is in room with no real door or enclosed area for toilet. Very loud when trying to sleep .also im 5ft 5inches and my feet hung off the child sized bed at least 3 to 4 inches..my husband over 6ft so very bad for him.I highly encourage you to look elsewhere.Staff was friendly. 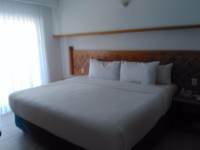 I stayed at Beachscape Kin Ha Villas & Suites on the month of April 2017, we arrived at midnight and we got put into room 1204 this was a suite with a kitchen, 2 double beds, and a king sized bed. The room had a weird moldy smell to it and we didn't now why. We booked over the phone and we asked for a view of the ocean, and 1204 doesn't have that view it has a view of the parking lot WHAT KIND OF STAFF PUT US INTO THIS ROOM!!!!!!!!!!!! Since we are on the second floor the room below us were 2 college kids drinking whiskey and jammed the music like crazy and wasn't able to sleep from it. 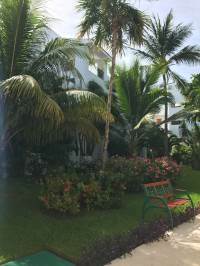 Also finding Restraunts are such a far walk away although there is a supermarket only 15 minutes away but since Cancun has high climates it feel like it took years to walk to a single market. 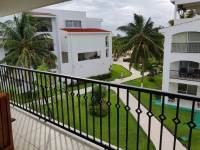 A positive about the room is there is a gate on the balcony leading to a massive balcony we there is a view of the ocean and swimming pool from the terrace. 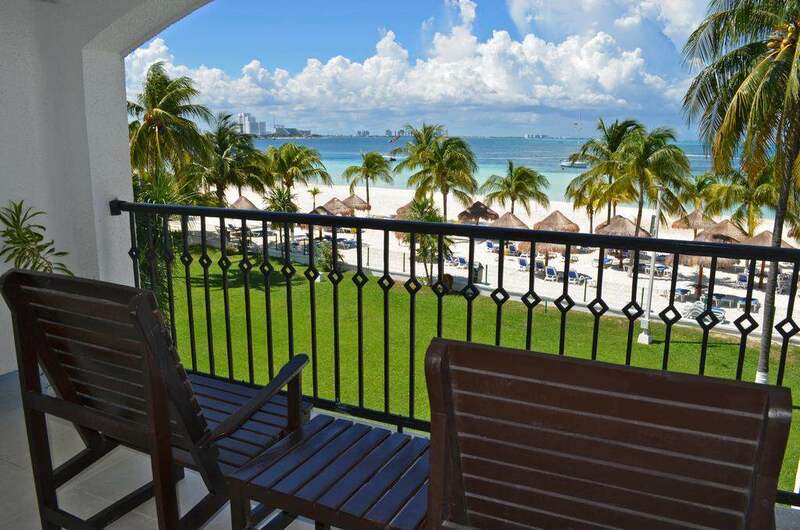 IF U GUYS WANNA STAY HERE YOU GUYS CAN BUT TRUST ME THERE ARE BETTER HOTELS IM CANCUN THAT ARE AN AFFORDABLE PRICE AND OFFER A LOT MORE! The best part was the beach! We were booked (through a tour) here for a total of four non-consecutive nights. While the rooms were clean, they were pretty basic and dated...but the biggest turnoff was the very strong sewage smell (in both rooms (one, a suite) in two different locations)...Wifi is available throughout, but, the connection was pretty spotty - though this may be typical of wifi throughout Mexico.Overall, it was OK. Lots of kids on the premises, a bit noisy. Very friendly staff, and beautiful beach! 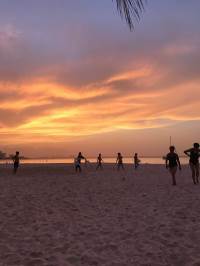 This was our second trip to Beachscape Kin Ha (the previous being in 2014), and all of the reasons we loved our first visit remained!We wanted to find a place where it wasn't overly American-ized for the benefit of the guests, and that's what we found. 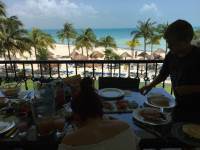 We opted for the all-inclusive package with all meals and drinks. 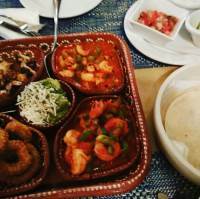 The food was excellent, and included enough variety for our liking. Again, the food selections weren't just bland "Give me a cheeseburger" options, but included food faire that I would describe as authentic Mexican faire. The omelette bar in the morning was a nice touch!The wait staff was very polite and friendly. We spent quite a bit of time at the bar, and were pleased to see Fidel (a long time employee) still keeping us well "hydrated" and entertained in conversation.Seeing the number of folks who had been there for several years shows you that management is doing a great job of rewarding the best employees!The beach and pool area were beautiful, and we just had to sit back, relax, and have the drinks and snacks come to us.The room was basic, but clean. It wasn't a major concern of ours, since you travel there for the beach and the amenities, right?We will definitely be back in the future! Stayed here for 4 days in March, room is very basic, which is what we paid for, I guess. Service is good but there are a few times when staff acted rude to us, particularly in the restaurant where they serve the breakfast, as well as the bar. 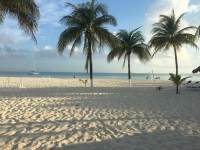 There are some staff who could not speak English which was a little bit hard for us.Location is great, they have the best beach in Cancun. Not too far from the shops and restaurants as well. Very good value for money.If only they will invest some time to train their staff for better customer service, I would have given them 5* rating. Beachscapes is an incredible experience! The rooms are cozy and comfortable. 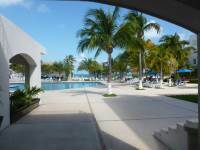 The pool and common areas are beautiful and the beach area leaves you speechless! If that weren't enough the waiters at both restaurants and the waiters on the beach are AMAZING! They truly now the meaning of customer service!! It is as if they know what you need before you know it yourself!! Excellent service!! It is truly paradise!